Everyone knows that watching the sun go down is a very romantic experience. No one’s exactly sure why it is, but it is. Phuket is an especially good place for sunsets as most of the popular resort beaches are on the west coast, giving front row seats to the best evening show there is. We’ve picked out some of the best places to watch the sunset in Phuket – romantic tips with some practical advice! This little bar is reached up an extremely steep road, but it’s worth the climb. The hilltop position looks out over the glittering lights of the city of Patong. Around August, the sun sinks right into the middle of Patong Bay and, being the middle of the rainy season, there are usually more clouds in the sky. Sometimes they block or ruin the view but, if everything goes just right, they can really amplify the effect. Standing with your toes in the sand, watching the last rays of the sun reflect off the rippling surface of the Andaman Sea is a must while you’re in Phuket. Romantic tips on which beach is the best are difficult to agree on, though. Patong often gets busy at sunset, Karon’s squeaky sand can be a distraction from the romantic mood and Bangtao is difficult to access. Probably the best is Kata Beach, which has lovely fine sand and plenty of space to part nearby. If you go near the northern end, you even get local boats silhouetted in the dying light. The southernmost point of Phuket is certainly one of the most popular places to watch the sun sink into the sea, but it isn’t necessarily the best. The angle isn’t quite right and some of the show is sometimes blocked by nearby islands and headlands. However, the rugged cliffs and tall palm trees still create a striking scene. The iconic Big Buddha has a fantastic elevated position, making it arguably a great sunset spot itself. However, you see so few photos from that location in Phuket. Romantic tips suggest not following the road all the way to the giant statue, but stopping a turn or two before you get there. There’s a roadside bar with a great view across Kata and Karon, which is undoubtedly one of the best places to watch the sunset in Phuket. The only downside is that it’s quite a long drive since you have to come up the road from the east. A good romantic mood is significantly helped by being comfortable. Standing on the beach is one option, but sitting and enjoying a great meal is better. There are plenty of Phuket romantic restaurants available along the west coast, with great views across sandy beaches and rocky headlands. 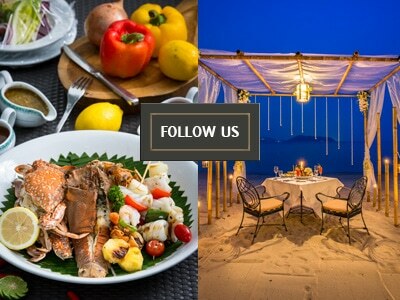 Phuket Restaurants With The Most Romantic Atmosphere!